Every year, the hockey world experiences a handful of oddities at the NHL Draft. Seeing as they occur each spring we shouldn’t be surprised but typically are. Whether it was the New Jersey Devils acquiring Cory Schneider for the seventh-overall pick in 2013, Seth Jones dropping to fourth-overall and being bypassed by his hometown Colorado Avalanche that same year, or Pierre-Luc Dubois being chosen over Jesse Puljujarvi in 2016, a few surprises catch us all off guard. What seemed like a surefire choice going into the day can alter so much and ruin most mock drafts but that’s just the fun of draft day each year. In an attempt to see the future, I’m going to predict a few surprises. My first two declarations: Something crazy will happen at the 2018 NHL Draft and I will not get all of my predictions correct. Take that to the bank. 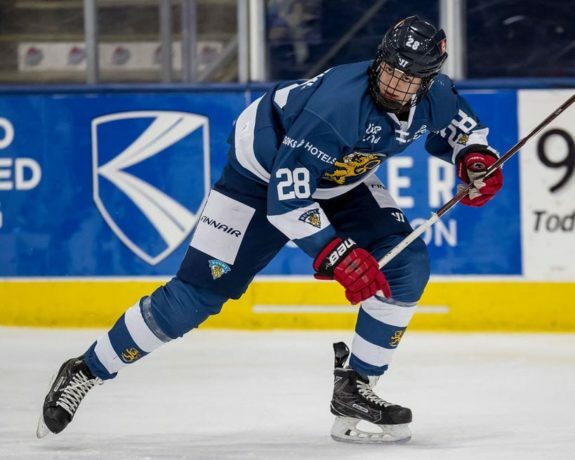 My first, lukewarm prediction is that Jesperi Kotkaniemi will be a top-five pick on Friday. He’s the top center available and had a fantastic season in Finland’s top league as a 17-year-old. Kotkaniemi’s size, vision, and offensive abilities rank him as a top-six pivot in the NHL. The Montreal Canadiens, Ottawa Senators, and Arizona Coyotes could use a center and they may consider swinging a deal to move back a bit. Regardless of who picks Kotkaniemi, he won’t be around after the fifth selection. Once considered a top-five talent, Adam Boqvist will slide this year due to the two concussions he suffered this season. There’s no denying Boqvist is supremely gifted, but I’m willing to bet that the head traumas will scare off a handful of teams, as past injuries and illnesses tend to do this time of year. Just ask Timothy Liljegren. 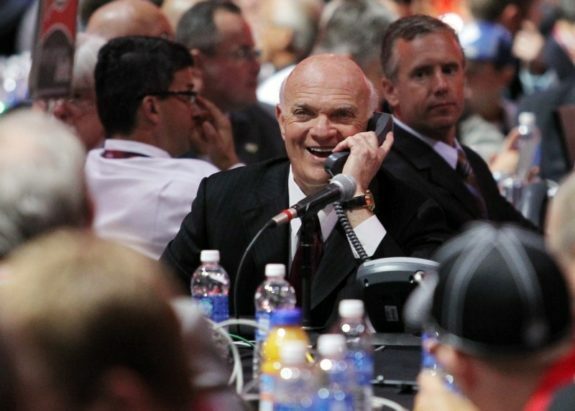 Seven years, ago Lou Lamoriello completed the aforementioned Schneider deal on draft day. In 2016, just a few days before that year’s draft, Lamoriello acquired Frederik Andersen to become the Toronto Maple Leafs’ franchise netminder. Now leading the Islanders, Lamoriello will be up to his old tricks and acquire a sorely-needed starting goalie. He’ll swap the 12th-overall pick for Washington’s Philipp Grubauer and the last pick of the first round. For the Capitals, what better way to reload a championship team than with a highly rated player at No. 12. And for New York, they’ll receive a goaltender ready to lock down a starting job and lead the team to Stanley Cup contention. There have been many mock drafts this year. Like, a ton. But most do not have U.S. National Development Program center Jake Wise as a first-round pick. The Hockey Writers’ Larry Fisher does, however, in his annual seven-round mock. I agree with Larry and think that Wise will end up as a first-rounder, despite where most are ranking him. The Massachusetts-native is the complete package but suffered an early-season injury that likely impacted his draft rankings. Wise has a fantastic shot, great vision, and is responsible at both ends of the rink. His name will be called on Day 1 of the draft, likely by a strong team near the end of the first round who knows that Wise won’t be available for long. It would be a worthy gamble for talent-laden organizations like the Anaheim Ducks or Leafs. After a terrific career, Marian Hossa had to call it quits when he kept developing allergic reactions to his equipment. 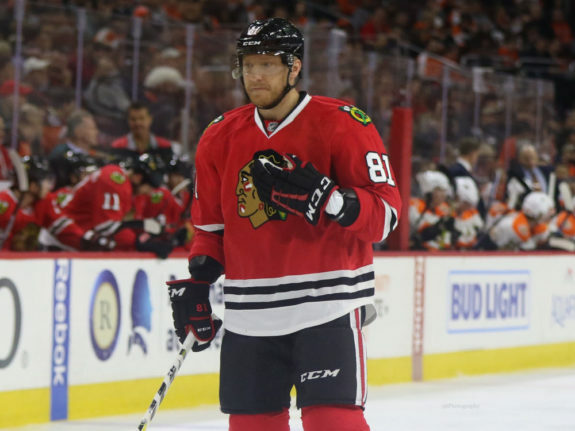 As a result, the Chicago Blackhawks had to place Hossa on long-term injured reserve this past season and will need to continue to do so through the 2020-21 campaign, if his contract is not traded. It will be. At this year’s draft, Hossa will be traded to the Vegas Golden Knights along with Chicago’s 27th-overall selection for their 2018 second-round pick and a third-rounder in next spring’s draft. Mikhail Grabovski and Clayton Stoner’s deals just came off the books in Vegas and the Golden Knights have room to take on Hossa for the right price. In return, Chicago will gain more salary cap flexibility as the organization tries to rebuild on the fly, much like the Detroit Red Wings did a few years ago when they dealt Pavel Datsyuk’s contract to the Coyotes. What do you think will happen at the 2018 NHL Draft? Share your thoughts below.